Julius Caesar Popularized Which Cryptographic Technique? Which Of These Caterpillars, Found Throughout The Southeastern U.S., Is Covered In Stinging Hairs? One of the simplest cryptographic ciphers around, the shift cipher, was used with great success over 2,000 years ago by Julius Caesar. The basis of the shift cipher is simply shifting the letter value a set amount on a letter scale. 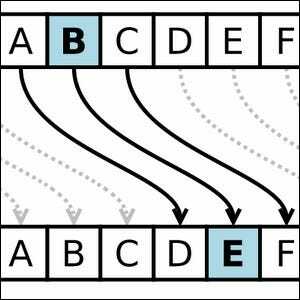 The most basic of shift ciphers, using the modern English alphabet, would be to simply switch a letter with its nearest forward neighbor (thus ABC becomes BCD). While this level of encryption is absolutely trivial to crack, it is believed to have worked well for Caesar for several reasons. First, the idea of text encryption/coding was largely unknown during his time (the the most common method of securing communications was to use a language the interceptor wouldn’t know). Second, his enemies were mostly illiterate. There is no record that his cipher was ever broken; the idea of using frequency analysis to crack encoded text wasn’t even proposed until the 9th century by Arab mathematician Al-Kindi.